In an attempt to curb medical malpractice costs, Georgia State lawmakers are considering a new bill. The bill would prevent patients and their families from suing doctors and hospitals in Georgia, directing them instead to a panel of appointed healthcare experts that would hear their case, ascertain injuries and determine any wrongdoing compensation. An article by CBS Atlanta titled: “Lawmakers considering bill that would block Georgians from suing doctors” shines a light on Senate Bill 141, also known as the Patient Injury Act making its way through the legislature. The bill would block Georgians from filing medical malpractice suits against doctors and hospitals. Instead of litigation, an appointed panel of healthcare experts would hear the case, assess injuries and award a capped compensation. The bill’s sponsor is Georgia State Senator, Brandon Beach, R-District 21 of Fulton County. According to the article, Breach believes that Georgians will see a 15 to 22 percent decrease in their premiums as a result of the bill. Some patients like the idea of having a medical expert will review their cases and help to determine their settlement. Doctors who support the bill claim it would eliminate the need for them to practice defensive medicine and order unnecessary tests to avoid the potential lawsuit. According to the article, Senator Beach claims that 82 percent of Georgia physicians practice defensive medicine at a cost of $14 billion. He estimates the bill would greatly reduce these unnecessary practices and save billions. The Medical Association of Georgia executive director, Donald Palmisano believes Beach’s data is flawed. He also argues that the cost to the system and claims are going to increase if the bill is put into law and that physicians and healthcare providers will be taxed in order to pay for the increased costs. Others such as consumer advocates claim the legislation would seal malpractice records and make it harder for patients to research doctors’ backgrounds. Each year, more people die from medical malpractice than from motor vehicle accidents or breast cancer. An Institute of Medicine study estimates that medical errors in hospitals result in 40,000 to 98,000 deaths annually with Nearly 7,000 patients dying from prescription medicine mistakes. When a health care provider or a hospital fails to act with a reasonable standard of care it results in severe injuries such as birth trauma, brain injury, paralysis, amputation, disfigurement or worse, death. However, through the legal system, victims of medical malpractice and hospital negligence and their families can seek redress for their injuries and accountability for the medical mistakes that have changed their life. 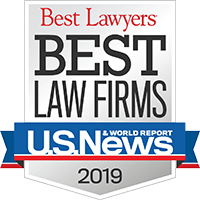 As Florida Medical Malpractice Attorneys who have aggressively represented victims of medical malpractice for more than 35 years, our firm has been relentless in demanding more openness from the medical profession. This determination has resulted in changes in policies and laws. If legal representation is limited or taken away entirely in medical malpractice cases, it’s hard to know who will advocate for victims and make sure they are adequately compensated for their injuries.